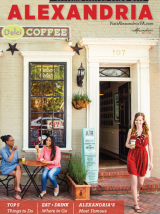 Between luxurious hotels and hip salons, Alexandria, VA, has more than a few prime spots for pampering. A relaxing weekend or romantic getaway mandates a visit to one of the city’s day spas, while bridal parties primp at full-service salons. Stores like Bellacara stock top products from lines like Kiehl’s and Mario Badescu, and indulgence reaches new heights at Lorien Hotel & Spa, which offers special services like a caviar facial.